I first had a Guinness and soy reduction with steak at a restaurant in York a few years ago. I loved it so much I decided I had to figure out how to make it myself. 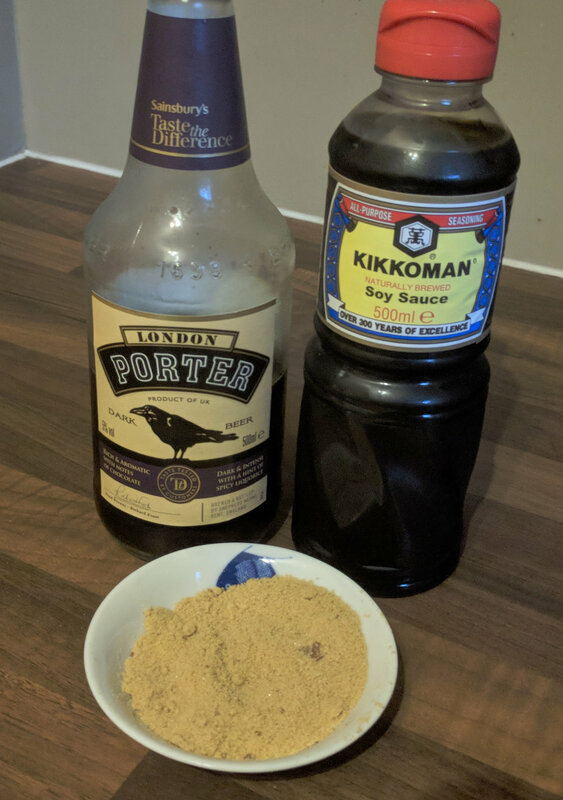 A bit of Googling and experimentation and I settled on the recipe I'm going to share with you here. It's super simple (the most simple recipe I'll likely ever share on this blog!) And the rich salty sweet taste is the perfect accompaniment to a good, meaty steak. It's also quite flexible in terms of how strong you like your flavours. You can keep reducing from a lighter option about the thickness of single cream (about half the original volume) to a thick and intense syrup (about a third to a quarter). This works with a variety of sides, but my favourite is a roast potatoes, green beans, and, of course, a good glass of red wine (as seen in the pic above). You can serve the reduction over the food, but I prefer it on the side so I can dip everything in it! Simmer until volume is reduced by at least half (less if you want a more syrupy sauce). Serve with steak and veggies.